Soon after the invention of the first radionics instrument, Dr. Albert Abrams began conducting demonstrations of this art for other physicians and members of the public at his laboratory in San Francisco. Today there are numerous opportunities for new and experienced radionics researchers to share ideas, experiences, and technology at meetings, workshops and conferences. To follow is a list of training courses offered by KRT, followed by events offered by other groups and individuals. Click here for USPA conference information. Click here for Fundamentals of Radionics registration information (pdf). Click here to register through the Universal Energy Clearing web site. Click here for more information about the Radionics Symposium. Please scroll down for detailed information on each of these events, as well as many others offered from members of the radionics community. Kelly Research Technologies is very pleased to offer workshops and training courses delivered by Ed Kelly, President of KRT and son of founder Peter J. Kelly. Ed is a uniquely qualified instructor, with years of experience building and developing radionics instrumentation, working with senior instructors, and writing about this amazing art, as well as many hours spent in the company of some of the greatest names in radionics: Dr. T. Galen Hieronymus, Col. Tom Bearden, and many others. Workshops include a balance of radionics theory, practical applications, and hands-on activities that will equip participants with the ability and confidence to apply radionics to the energetic world that flows through us all. Peter J. Kelly conducts a workshop in 1981. Ed Kelly conducts a workshop in 2012. “Course was really enjoyable and a lot of fun! I have enough info to begin on my own." A two-day introduction to the basic theory and hands-on operation of the radionics instrument for the new beginner and anyone seeking a refresher. Topics will include collection of samples and witnesses, energetic analysis and radionic balancing, use of reagents, use of worksheets, and cold scanning. Participants will practice using the radionics instrument to complete analysis worksheets on water and soil samples brought from home or taken at the site of the class, then utilizing the broadcast mode to energetically balance those elements. * Retake enrollment rate available to any individual who has ever completed a course taught by any authorized dealer of KRT instruments. New instrument must be purchased at the time of enrollment. Learn and practice creation of a crystal clear statement of intent, cold scanning of a highly-accurate radionic rate, and potentization of that rate and applicable reagents into a personal object brought to the class. Special guest Marty Lucas will join Ed Kelly to share his unique, in-depth knowledge in making strong and effective potentized items. Participants should have a basic knowledge of their radionics instrument for this course. A potentizer, Replicator, or Workstation is required for this course. Order by February 1 if you need one of these. And remember to bring a personal object and your biggest wish or desire for 2019! Marty Lucas will take the lead in presenting this one-day course focused on advanced radionics concepts. “I take advanced concepts in subtle energy and explain them in a way that is easy to understand and use. This class gives you cutting-edge information from real-life radionics research.” Learn and practice the techniques that Marty utilizes to solve problems for clients around the world. This year Marty will present two hands-on programs: The Somatid Cycle and Multi-Bank Tuning for Maximum Impact. Participants should have a working knowledge of their radionics instrument. Day 1: Learn and practice creation of a crystal clear statement of intent, cold scanning of a highly-accurate radionic rate, and potentization of that rate and applicable reagents into a personal object brought to the class. Participants should have a basic knowledge of their radionics instrument for this course. A potentizer, Replicator, or Workstation is required for this course. Order by February 1 if you need one of these. Remember to bring a personal object and your biggest wish or desire for 2019! Who:	Courses will be delivered by Ed Kelly, President of KRT. When:	Classes will run from 8:30 am to 5:00 pm each day, with breaks. Unless stated otherwise, these are hands-on workshops that require a radionics instrument and/or potentizer. Bring yours, or please order as soon as possible if a new instrument is required from KRT. A limited number of instruments are available for rent from KRT for a fee of $50.00. Food:	Participants will be responsible for their own meals. Enroll: All registrations and enrollments must be paid by credit card, PayPal, or cash at the door. Call to register at (706) 782-2524, or complete and fax this enrollment information to (706) 782-1047. Send checks or other correspondence to KRT, PO Box 128, Lakemont, GA, 30552. Online payments through PayPal should be directed to: sales@kellyresearchtech.com. The universal concepts of radionics covered in KRT Radionics Workshops will equip participants to conduct radionics research in any area desired. However, human health issues cannot be covered at any time. Regrettably, any questions concerning human health will be declined. To follow is a list of events organized and/or sponsored by other groups or individuals within the radionics community. This listing is published on this site as a service to the radionics community and does not indicate an endorsement of any kind by Kelly Research Technologies or its employees. 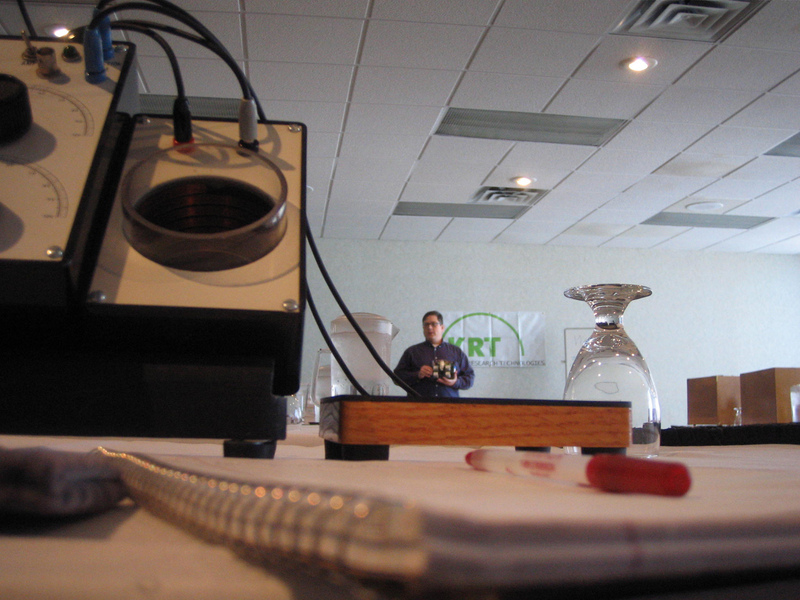 KRT is not responsible for anything said, suggested, claimed or implied by any individual or group in any course, workshop or event, whether or not Kelly radionics equipment is utilized by the organizers or any of the attendees. 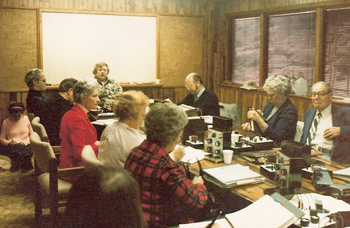 The Great Lakes Holistic Training Center offers one-on-one and small group training in radionics, as well as telephone support and consulting services. Standard courses include a three day Basic and Advanced Topics course, as well as a one day Advanced Potentizing course. For complete course descriptions click here. To contact the Center directly, please call: 906-420-8375. "Pennsylvania Pete" Radatti moderates a free study group for anyone interested in learning about radionics through the "meetup" web site Everyone is welcome to attend! And be sure to check out Pete's new book A Fun Short Course in Beginning Radionics on the KRT Books and DVD page, or download it for free by clicking here. To visit Conshohocken Radionics' Meetup page please click here. The USPA is a non-commercial, not-for-profit organization dedicated to researching the "why" of radionics and other interactions of matter, energy, and consciousness. KRT founder Peter J. Kelly was an organizing member of the USPA back in 1975, and Ed Kelly has been a member of the USPA's Board of Directors since 2011. This conference is a fun event. The theme of the 2019 conference is "The Art and Science of Energy Healing". Because the USPA is dedicated not just to radionics, but also the broader spectrum of esoteric phenomena, this meeting will present research, information, and vendors from a wide variety of disciplines. Planning is currently underway for the 41st USPA conference. Check back for more information, and you can visit the USPA web site directly by clicking here. You can also follow the USPA via their page on Facebook! Three days of focused study with 12-15 radionics experts, energy users, and ag specialists, plus vendors/exhibitors and your fellow researchers. In 2019, KRT’s Ed Kelly will assist energy and healing specialist Aimee Whalen in a group consciousness experiment from which we will actively potentize the energy produced by the group. For more information about the Radionics Symposium, click here. To enroll in the Radionics Symposium, send a non-refundable $100 registration fee marked “donation” to All Saints Church, PO Box 86, Black Hawk, SD 57718, then pay the balance in cash at the door. Contact Dr. Ron Barone with any questions at: (605) 787-5620 or livingwordministry8@yahoo.com. DISCLAIMER: Neither publication of this listing nor any of the contents therein constitutes a claim that any psychotronic, radionic or scalar technology devices are effective in the diagnosis or treatment of any disease or any other human ailment. These devices are designed to be used for personal energetic research and/or agricultural purposes only. Persons with mental or physical illnesses should be referred to qualified medical practitioners licensed by federal, state or local agencies, as applicable. Neither KRT nor its employees assumes any responsibility for the accuracy, efficacy or effects of material presented at any event of workshop. This listing represents research that is being passed on for enlightenment of others who are following, or wish to follow, similar pathways of discovery.